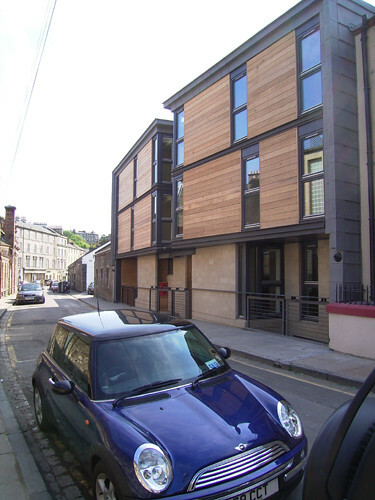 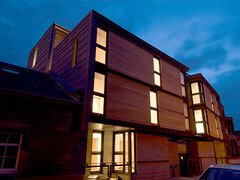 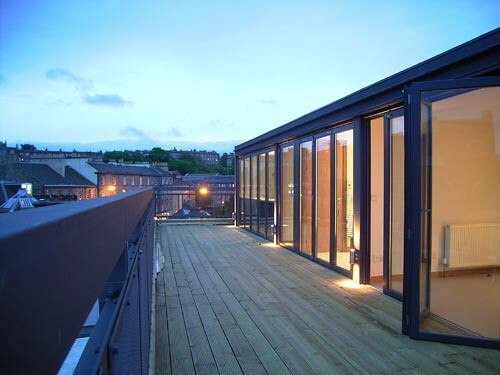 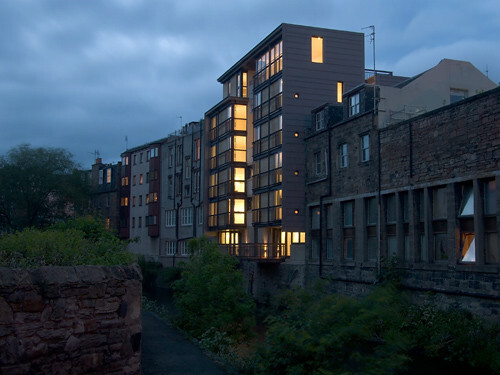 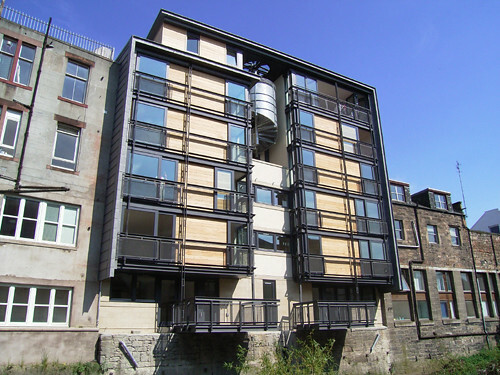 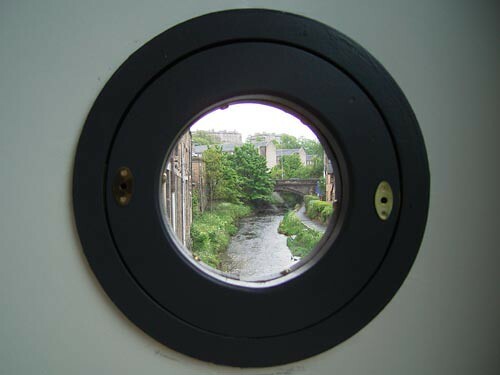 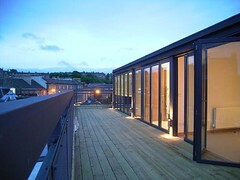 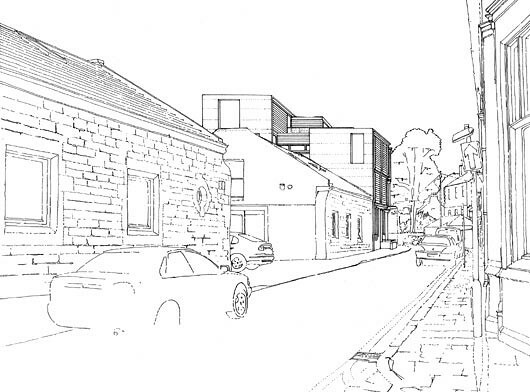 This project for Kilmartin Homes Ltd occupies the site of a former engineering office which itself grew to occupy a number of buildings alongside the Water of Leith. 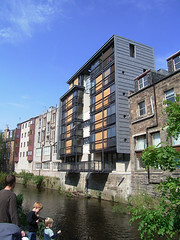 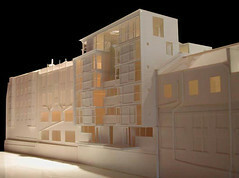 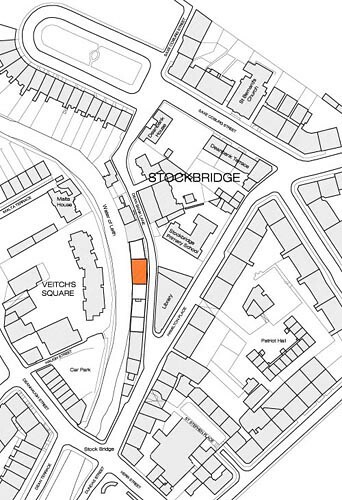 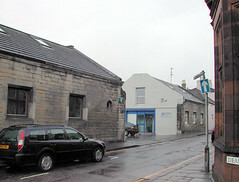 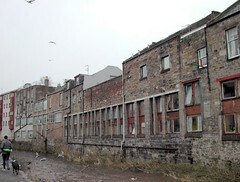 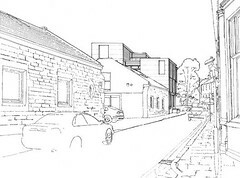 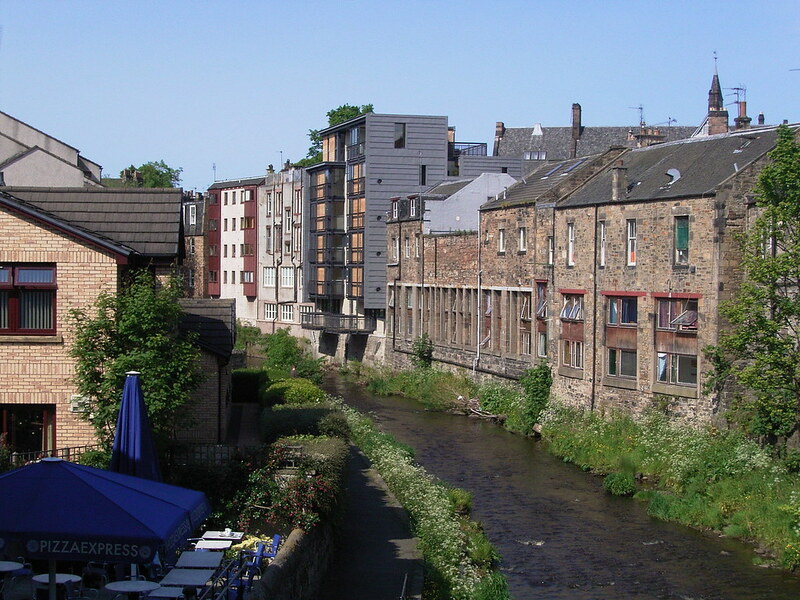 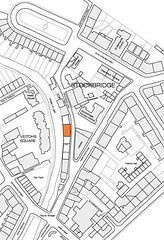 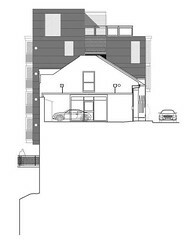 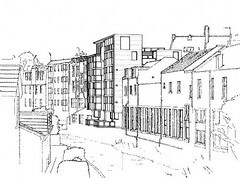 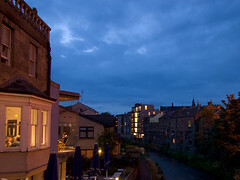 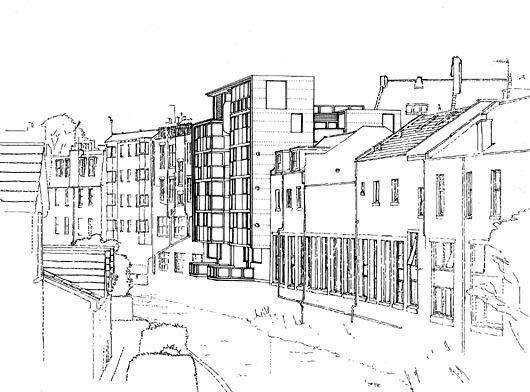 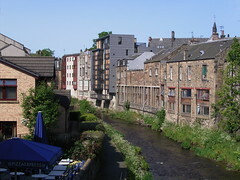 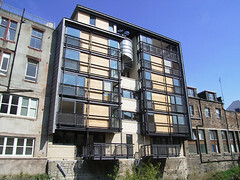 The site is unusual in that is has two very different elevations: a street side elevation to Dean Bank Lane (itself a jumble of buildings leading to the splendour of Saxe Coburg Place) and a much larger and more exciting elevation terminating directly into the Water of Leith, and viewed in particular from the bridge across the river at Stockbridge and from the Water of Leith walkway. 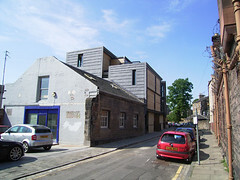 The existing unexceptional former industrial building on the site was demolished and replaced with a block of 11 apartments. 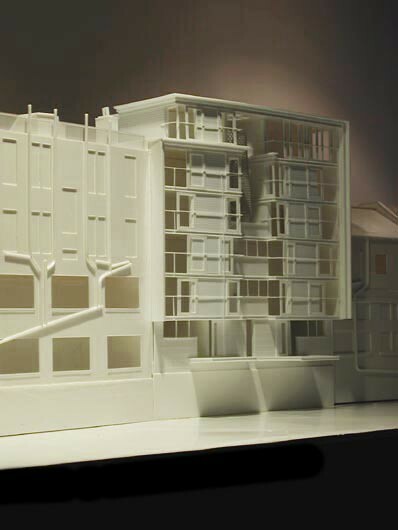 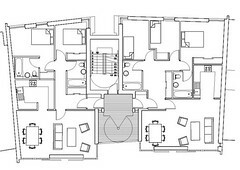 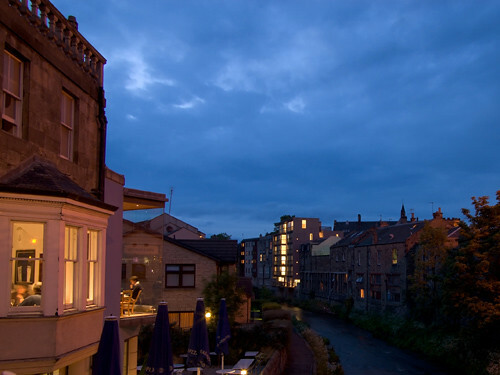 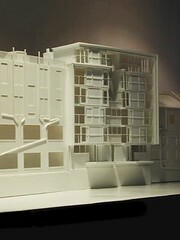 At the lower level these are single bedroom flats but elsewhere are through aspect flats between the street and the river with the first floor flats using the device of sunken terraces to the steet to achieve a through aspect. 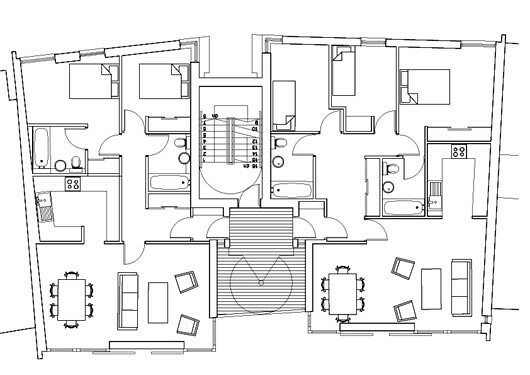 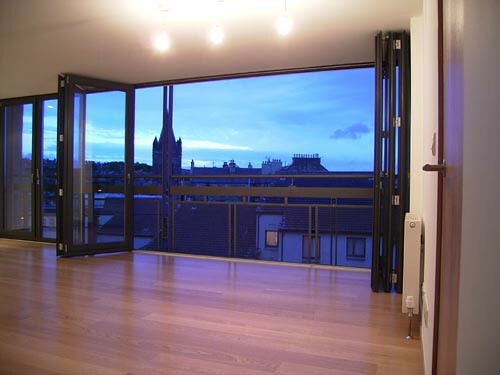 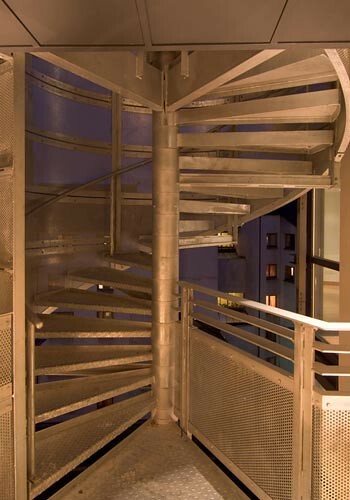 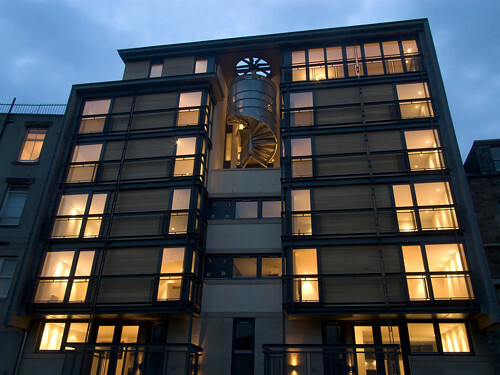 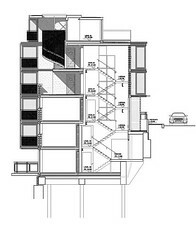 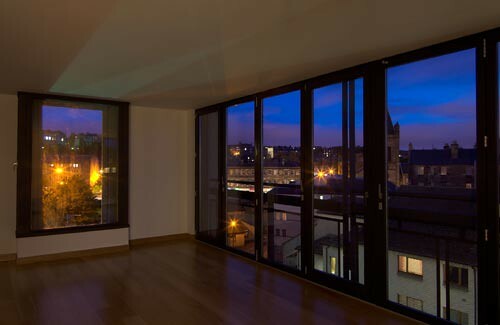 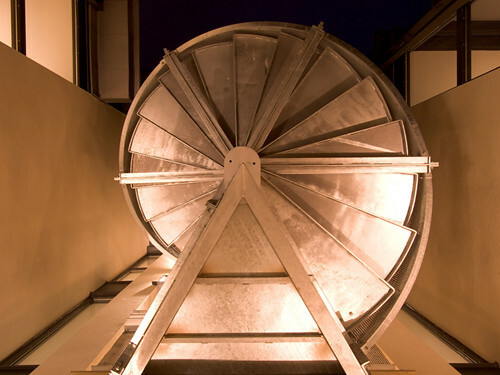 The usual ventilated lobby requirements are avoided at the upper levels by the common stair coming to an external balcony access with the final penthouse flat being accessed by a spiral staircase suspended from the roof. The materials are green oak and steel to the river with the gable elevations being an extension of the roof metal material. 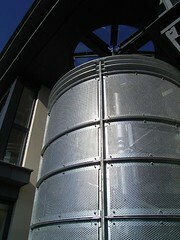 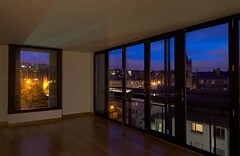 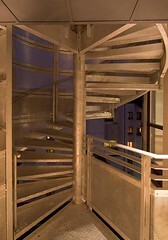 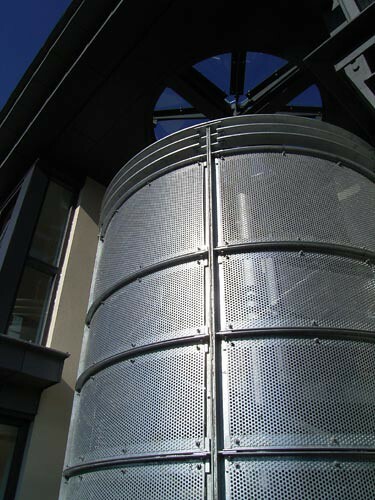 The project started on site in February 2004 and was completed in June 2005.